In about a month the 2018 Winter Olympic Games are all set to kick-off in PyeongChang, South Korea. Teams from around the world are beginning their final preparations. The German Bobsleigh team is looking domestically to gain a little edge on the competition. No, they’re not hiring John Candy as their coach but rather looking to BMW for a little help in bobsleigh design. The bobsleigh, referred to as a “bob” for short, is manufactured out of carbon fiber. This is a material BMW is very familiar with. Not only does BMW use it in the manufacturing process for its cars but it also uses it in other sports equipment it helps design like the hulls for sailboats in the America’s Cup. This helps BMW bring engineering expertise in aerodynamics, ergonomics and structural analysis of the bobs. It all starts with computer simulation. The bob is digitalized then put into a simulation in order to optimize its dimensions. Using this digitally optimized model, a mold is cut using a precision mill controlled by a computer. The mold is used to create carbon prototype bob which is then tested in the real world. Then BMW takes the prototype bob to the wind-tunnel in order to analyze the aerodynamics of each bob. BMW’s wind tunnel is one of the largest and most high-tech in the world. It can produce wind speeds of up to 186 miles per hour. 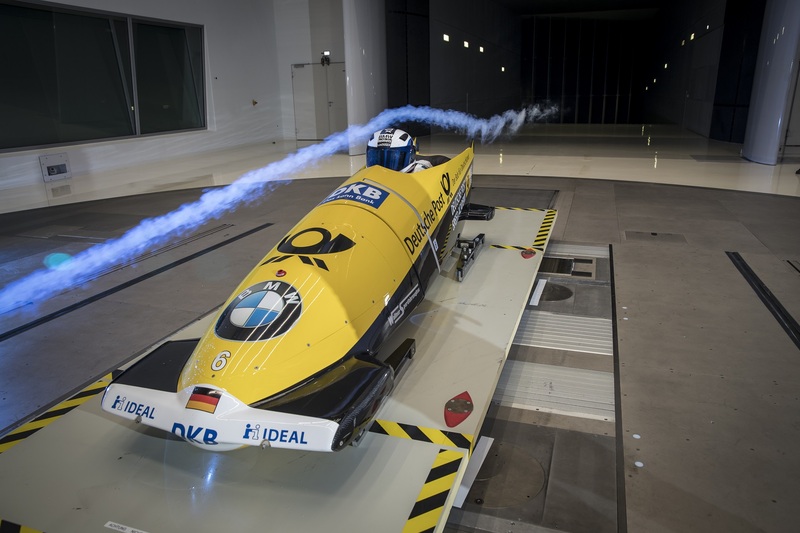 Using the data gathered from the wind tunnel, BMW is able to optimize the bob in the same way they optimize its cars. 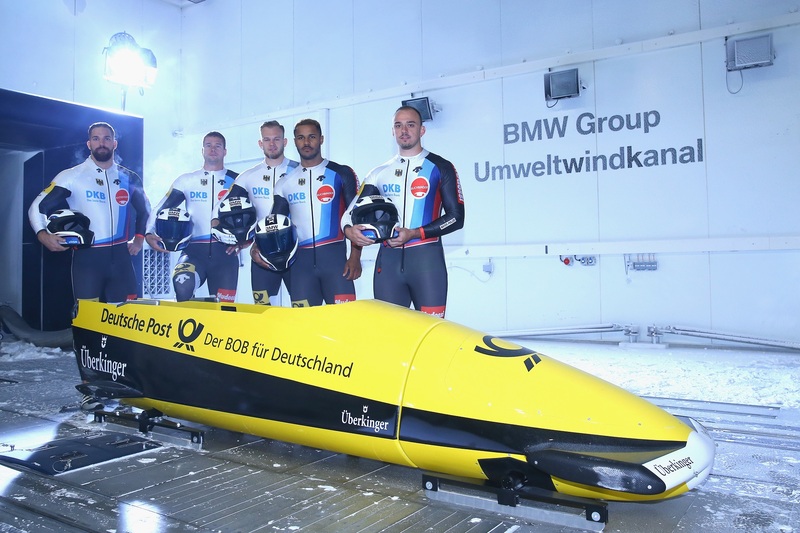 Armed with a high-tech bob representing the best of German engineering, the German bobsleigh team is looking to return to the podium after a disappointing 2014 Olympic campaign. Mark Higgins goes for gold in his 2014 Isle of Man TT record car.